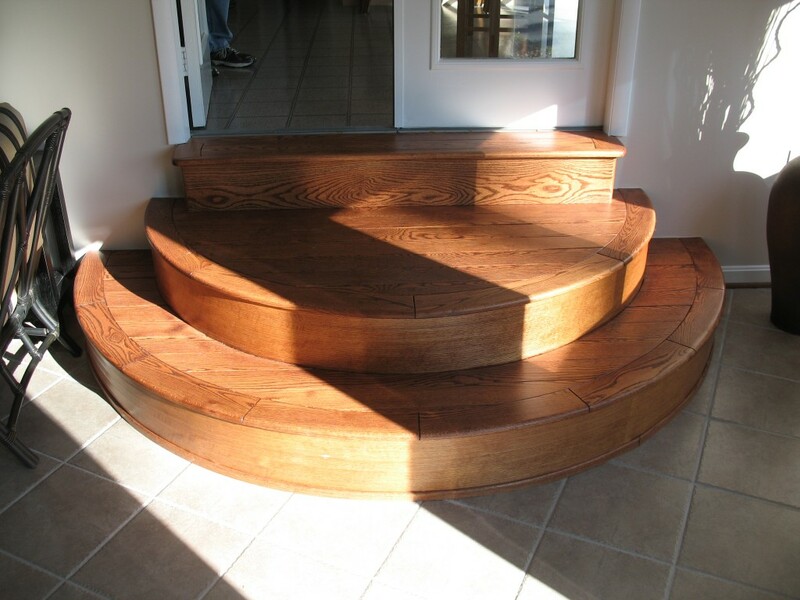 Above is a stair case I made for a friend about 5 years ago when he remodeled his breezeway into an entertainment area. They are made from 5/4 red oak. The risers are oak veneer over 1/2 inch plywood. The frame is made from 2 inch thick poplar. The finish is stained with 3 coats of Varithane. They look as good today as they did when they were installed. 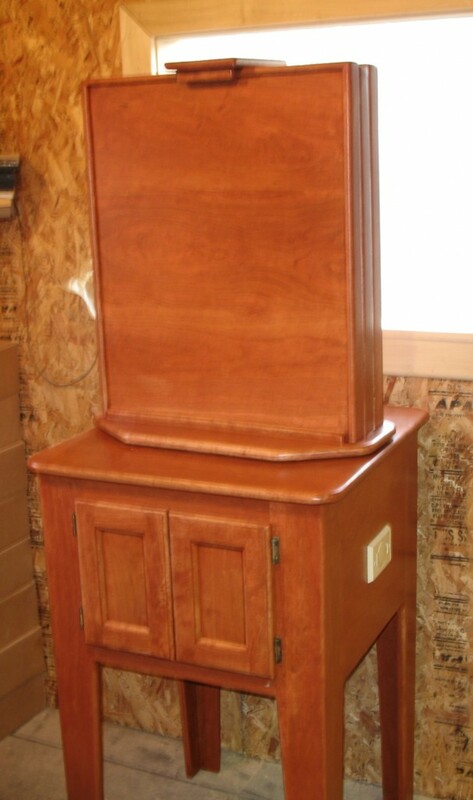 Cost was about $1,800.00. This is a honeybee observation hive made from wild cherry. The hive itself rotates so you can look at both sides. The doors hide the feeder from view. 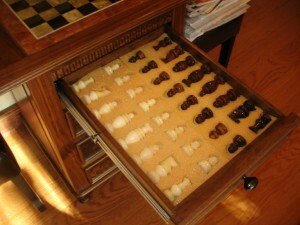 Matching wood covers were also included. It holds 2 deep frames and 1 Illinois frame. 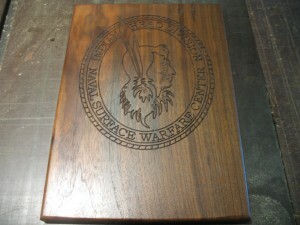 Plaques are made on my CNC machine. All that is required of the customer is a black and white bit mapped (.bmp) image file . This file is used as a background image in my CAD program. I simply trace the image with the CAD program and save the trace in a DXF file. The DXF file is then translated to my machines language using Lazy CAM . 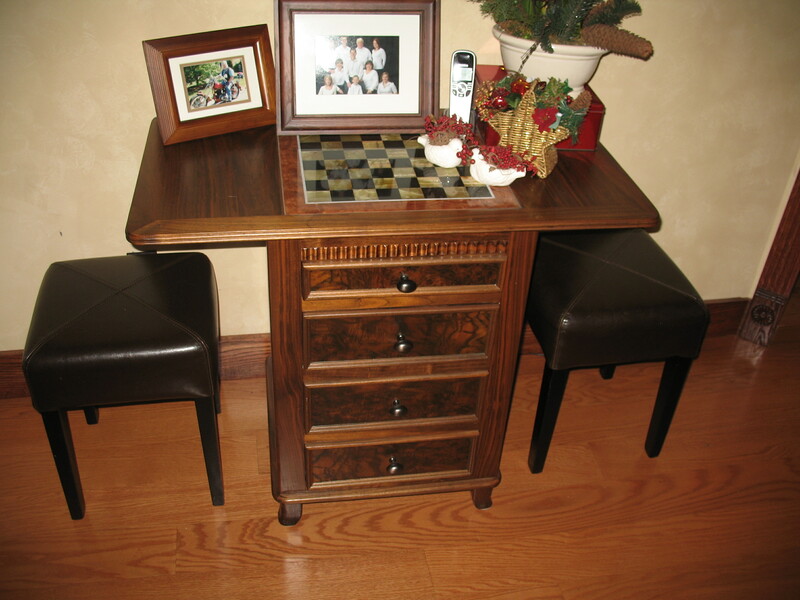 Drafting and CNC machine coding costs are around $100.00 per design. If various sizes of a design is desired, the machine coding cost is much cheaper for each different size. This is because I don’t have to retrace the image for different sizes. There is no drafting fee for reorders since all the files are saved on my hard drive. 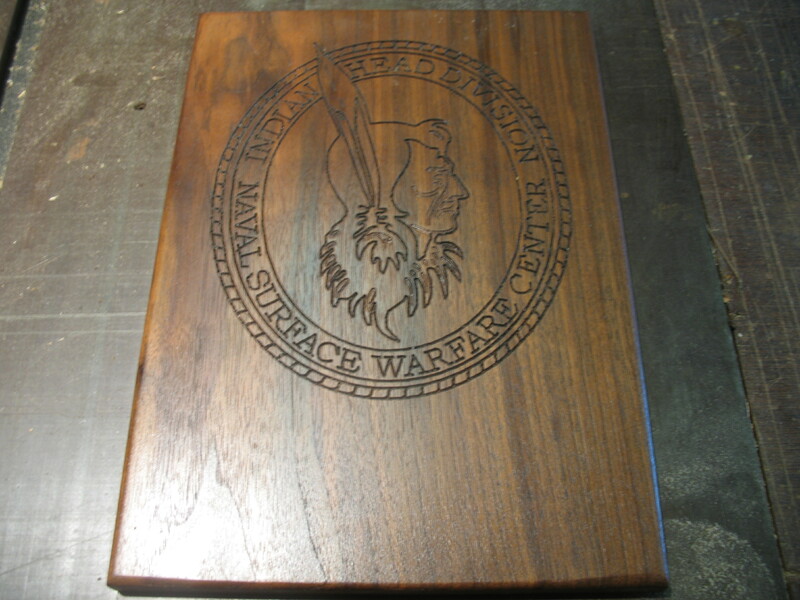 An 8 x 10 inch solid walnut plaques then costs about $75.00 each. This includes a key hole on the back or the plaque, sanding, and finishing. Large quantities are much cheaper. Bit mapped files can be e mailed to me along with the sizes you want for a quote. 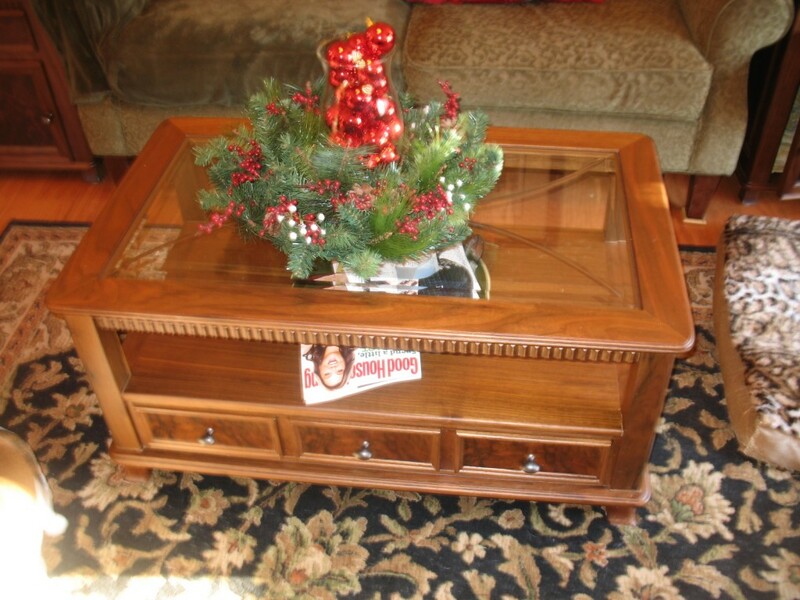 Above is a solid walnut coffee table I made for my living room. Drawers are faced with burl walnut veneer. Finished with 3 coats of Varithane, a very tough floor finish, this table looks as good today as it 5 years ago. 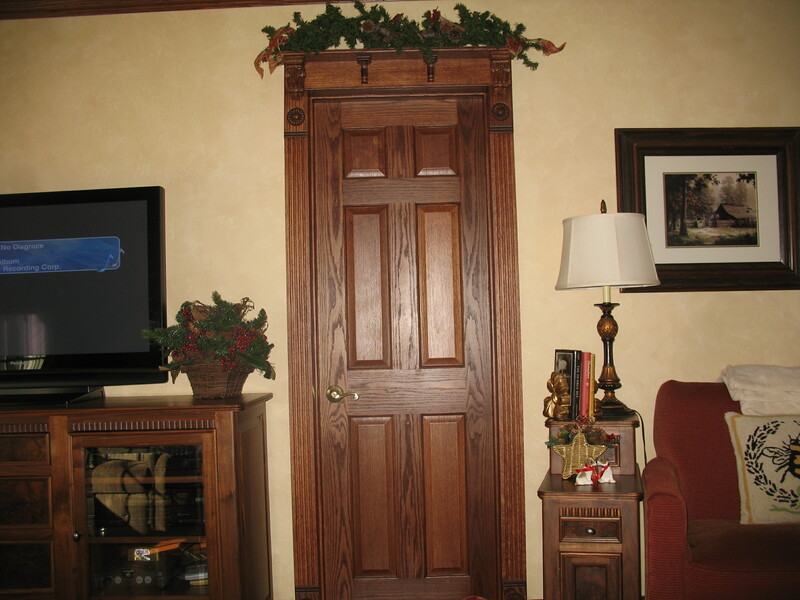 Nothing makes a room warm and inviting like custom trim does. Trim like this would run around $400.00 per frame. 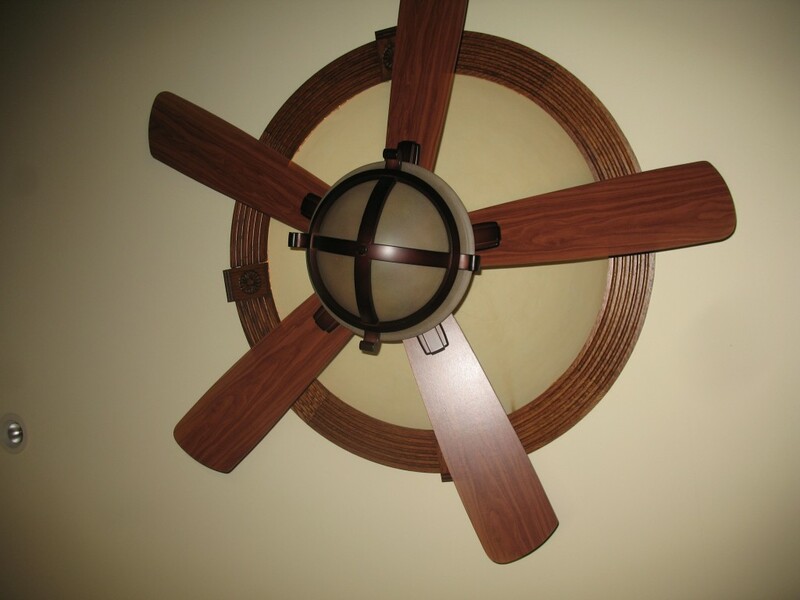 Above is a plaster dome with a ceiling fan mount in the very top. 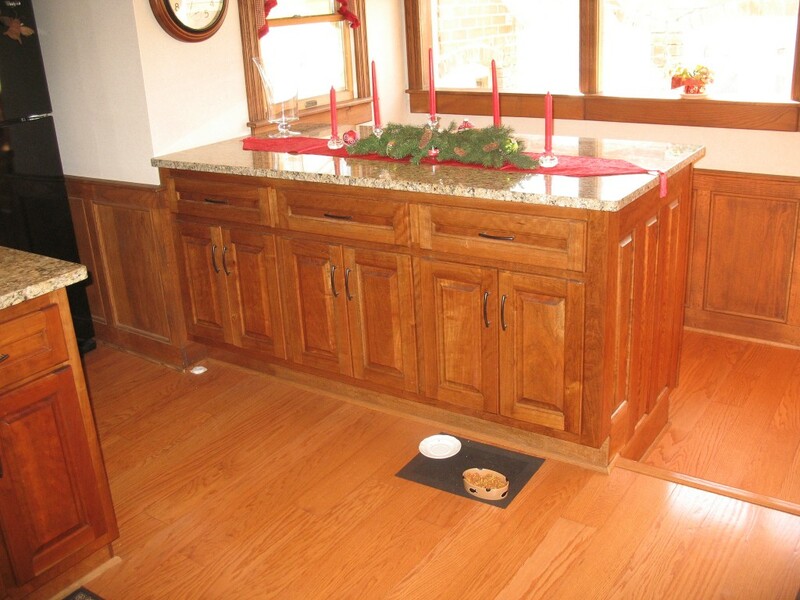 Trim is red oak. It really brings elegance to the living room. Cost of the dome and trim is about $1,200.00. This is what about $30,000 will get you! 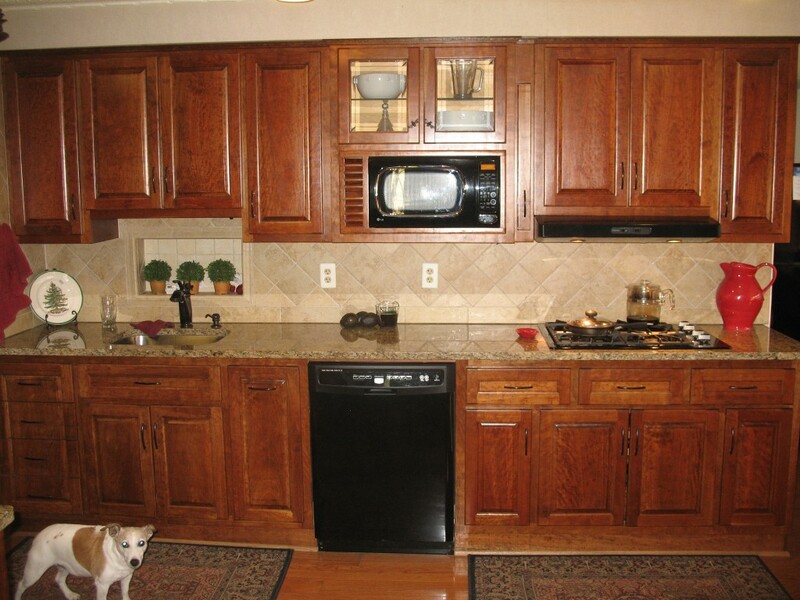 Custom modular kitchen cabinets. Each section is custom built for maximum efficiency. 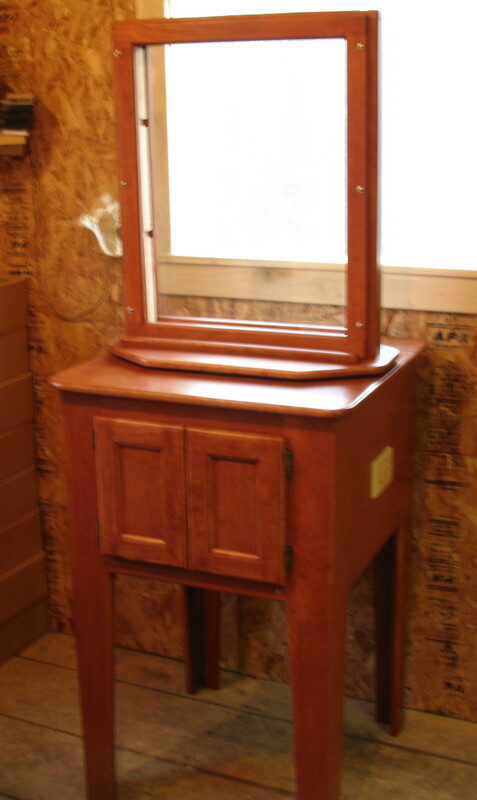 The sink station (above left) has towel storage drawers to the left, cleanser storage below the sink, and a slide out garbage can to the right. Middle drawer tilts down and stores scrubbies. The cooking station (above right) has all your pots and pans right under the stove top. 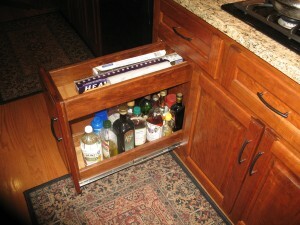 To the right is flat pan and cutting board storage. To the left is a small pull out pantry for your cooking oils. 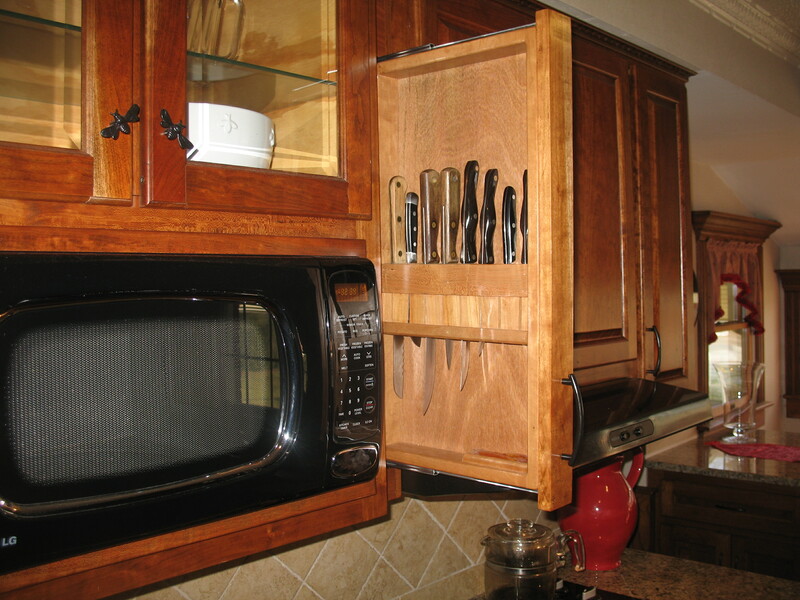 Next to the built in microwave oven is a pull out cutlery rack. Note the chip drawer (below left) next to the oven cabinet. It’s made extra deep that you don’t break your snacks. 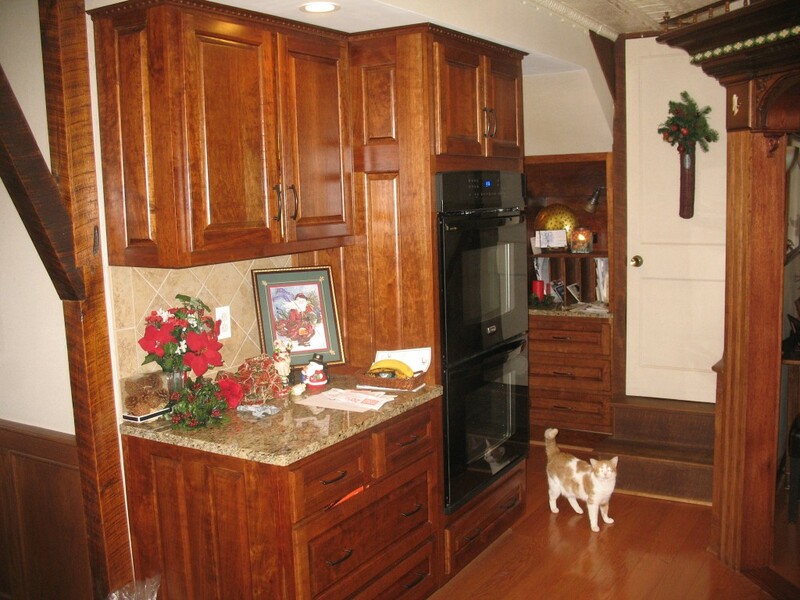 These cabinets are made from wild cherry. They get a deeper darker patina every year. See the recipe/cook book station (below right) built in under the stair way? The hardware is custom powder coated to match the faucet. Below is a peninsula cabinet. Only the front has drawers and they pull out a full 24 inches. Great for storing table cloths and place settings. 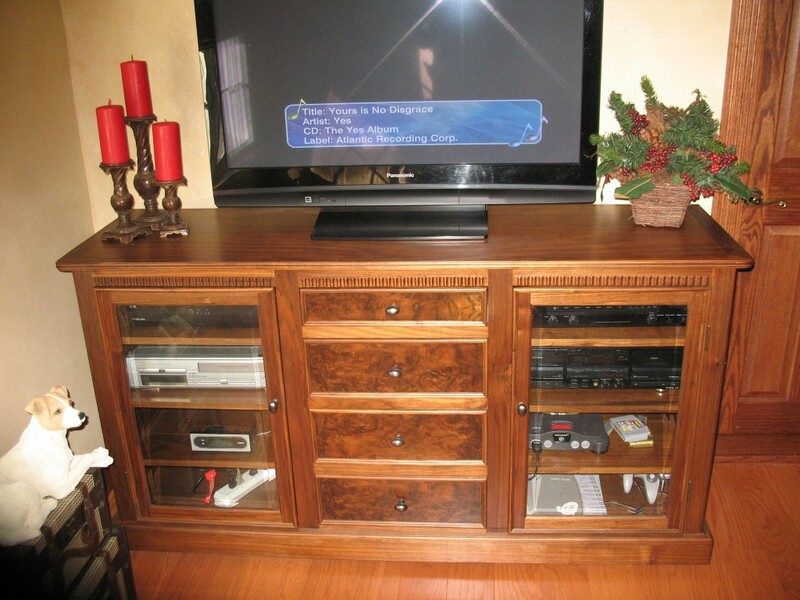 Cabinet doors on both sides with adjustable shelves. Every drawer in this kitchen has full extension ball bearing slides and lights up when opened. It’s the attention to details that make your dream kitchen. 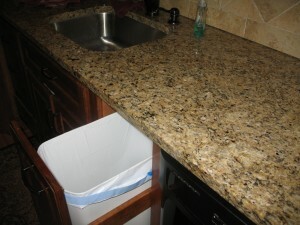 Trash can (left) is right where you wash and prepare vegetables and butcher meat. Cutlery (far left) is always at your finger tips at the food prep area. 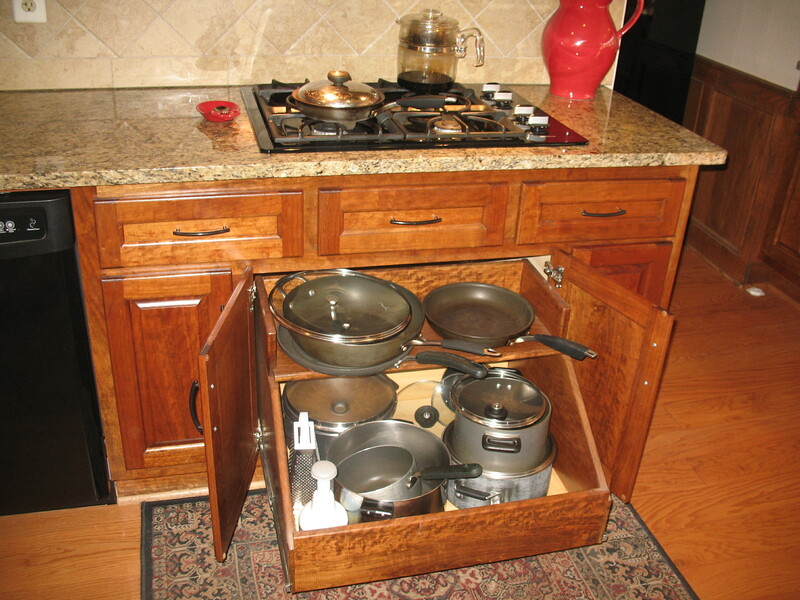 Pot pull out (left) below the stove tops makes selection of pots and pans a snap. 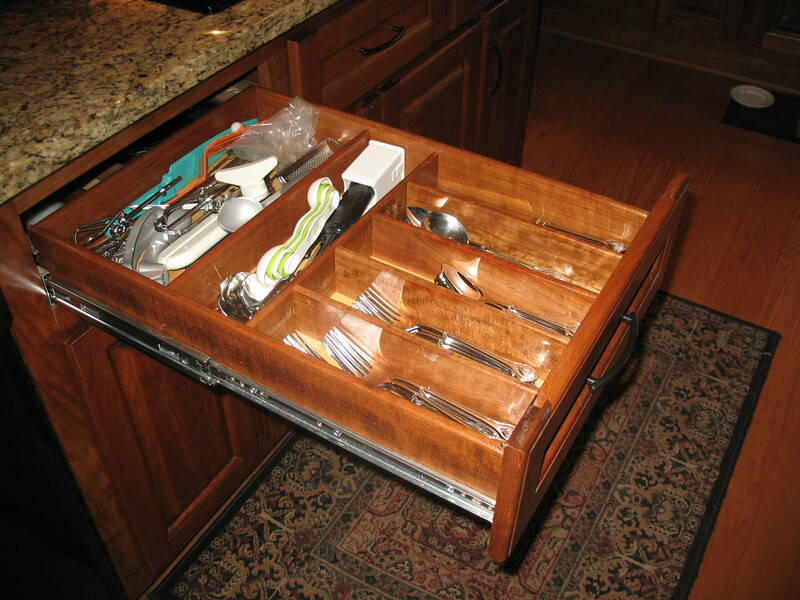 Full extension slides (far left) make getting those “back of the drawer utensils” a snap as well. The pull out pantry (left) is right where you need it, putting all your cooking condiments with in arms length of the cook top. 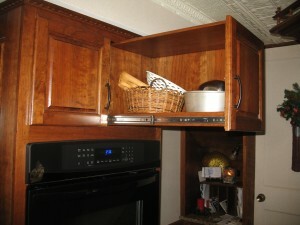 Pull out cabinets (far left) make it easy for even short people to utilize the back space in a deep cabinet.